Reykjavik is currently hosting its first festival of crime fiction, Iceland Noir, an idea conceived by the Icelandic brach of the Crime Writers Association at their inaugural meeting in June during Crimefest. To have pulled together an event of this scale in such a short period of time has been a huge achievement and the event had a great start yesterday with the opening session featuring Norweigian writer Jorn Lier Jorst. Regular readers of this blog will know I’m a fan of Horst’s writing and my only regret is that his books have been translated from mid-series onwards so we’re missing a huge amount of backstory in relation to his main protagonist, William Wisting. Yeserday, the writer was interviewed by his Icelandic translator, Sigurdur Helgason, who questioned him about both his crime fiction and children’s books. Like other crime writers I’ve seen interviewed, he cites the influence of Maj Sjöwall and Per Wahlöö on his work and had originally intended to write ten books in his own series. However, having just written his ninth book, he now intends to continue with William Wisting. Until a few months ago, Horst was a serving police investigator and the in-depth knowledge he has accumulated over the course of his career was touched upon. According to the writer, he has seen an increase in both violent and organised crime with less people employed to investigate cases. What I thought fascinating was that despite his police background, Horst cited his love of crime fiction as one of the reasons he started writing in the genre. It’d always a relief to hear a writer say he loves to read crime novels and interestingly, like me, he came to the genre via the books of Enid Blyton and those featuring Nancy Drew and the Hardy Boys. 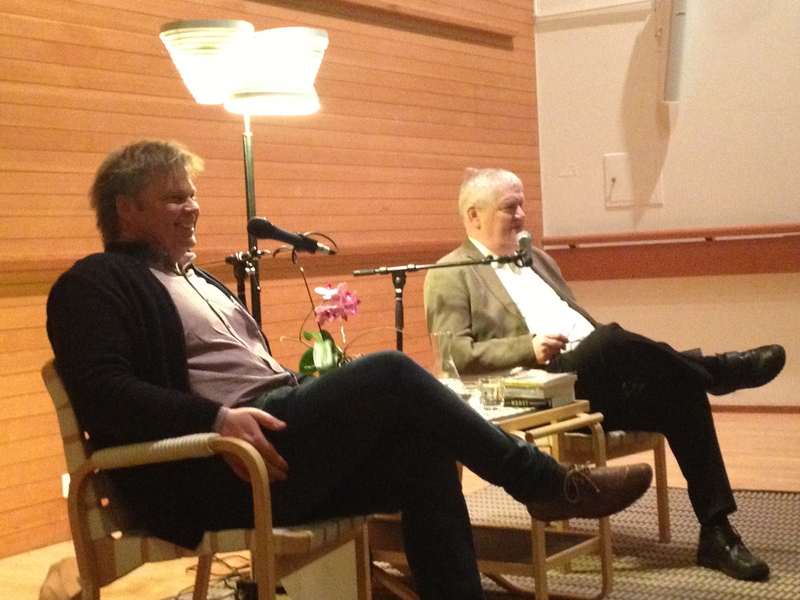 In the evening, I attended a reading featuring writers Quentin Bates, Ann Cleeves and Jorn Lier Horst, along with other Icelandic authors such as Ragnar Jonasson who are yet to be translated into English. It was an enjoyable event and it was wonderful to hear the rhythm of readings in a language I can’t understand. Special mention goes to Viktor Arnar Ingolfsson who I met earlier in the day. I read and reviewed his excellent Flatey Enigma last year on the recommendation of the late Maxine Clarke at Petrona. Meeting him has reminded me that I need to catch up with the rest of the series. 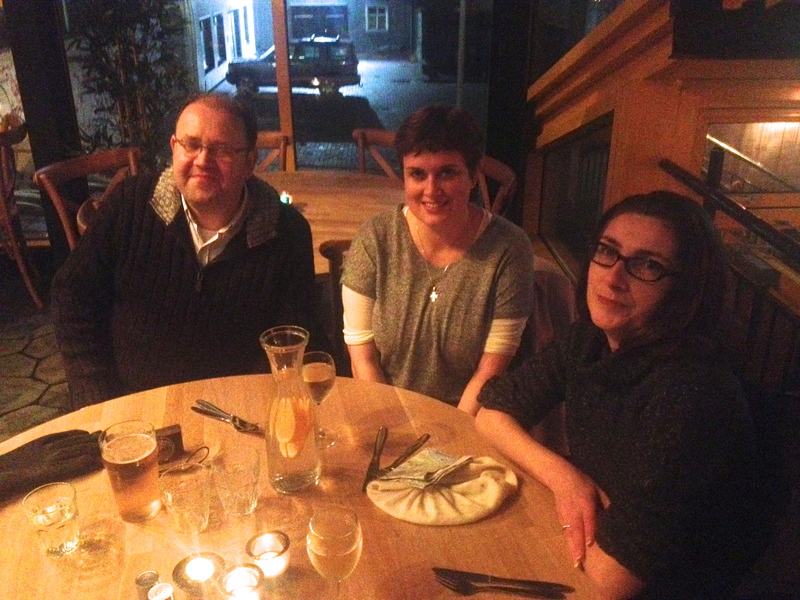 Good to catch up too with fellow blogger Sue G from Novel Heights and her husband Jim. Thanks to everyone for all their hard work in making Day 1 such as success. Sarah, I’m glad to hear you are having such a great time, enjoy yourself and thank you very much for keeping us posted. 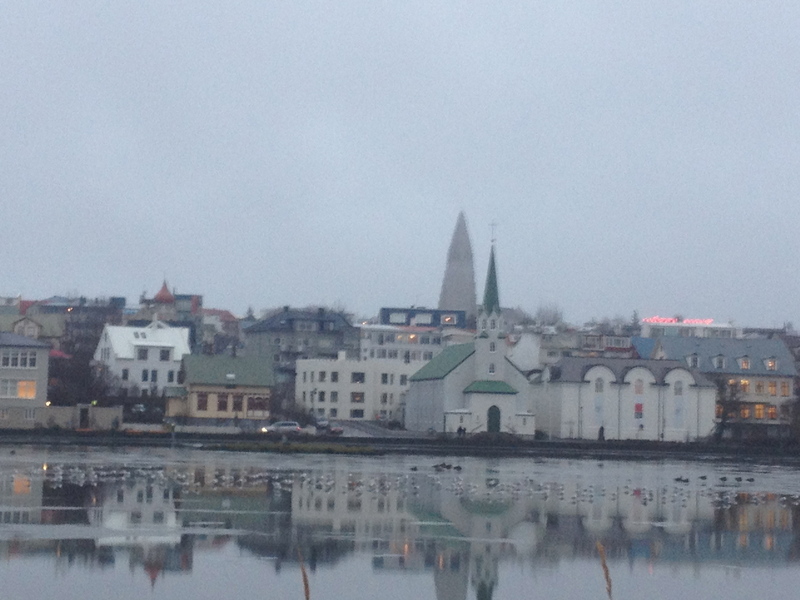 about this premiere Icelandic crime fiction festival, and the events reported on thus far. Are Arnaldur Indridason and Yrsa Siggurdadottir in attendance? Now I must crack open the copy of Dregs sitting in my TBR pile. Yes Kathy, both are at the main event tomorrow. Watch this space…. Sarah – Thanks for this update. It sounds like a terrific festival! I’m so glad all is going well. Glad to hear that the Wisting series will continue..
Glad you’re enjoying yourself. I never heard of this author but his stuff sure looks interesting. Thanks. I would highly recommend JLH. Thanks. Maybe next year you can join us…. No dodgy black liqueur for me Mrs P. But some not too expensive wine which was a relief. Glad you like the post! Great situation report, and look forward to hearing more. Great summary of the crime festival, Sarah. I normally have no desire to travel, and airplane trips are especially unappealing, but… I would love to see Iceland, so I am also envious. Hope you continue to have a great experience there. I used to hate flying but now I’m usually asleep by the time the plant takes off. The rewards of getting up early every day I think.